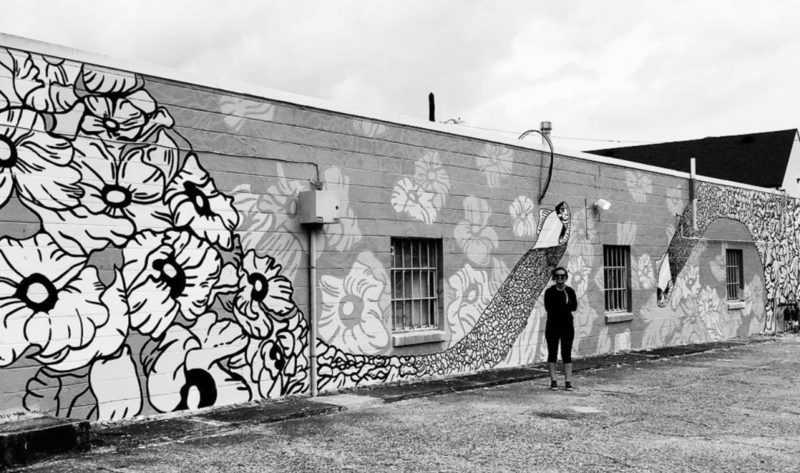 A handful of Richmond artists will be creating murals inspired by the history of Virginia – and you’ll be able to see the mural-making process live and on-site. 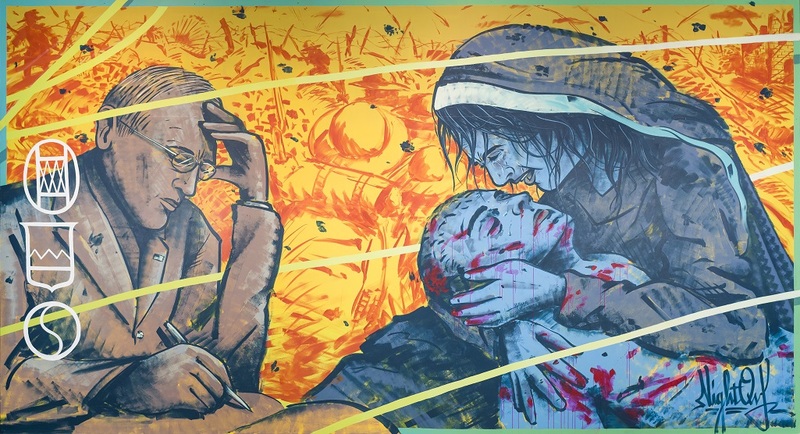 “Fresh Paint: Murals Inspired by the Story of Virginia” intertwines Richmond history with street art, as muralists take inspiration from the Virginia Museum of History & Culture’s 9 million item collection. With artifacts ranging from photographs to World War I uniforms to stills for making alcohol, every piece is inspired by an item of their choice. 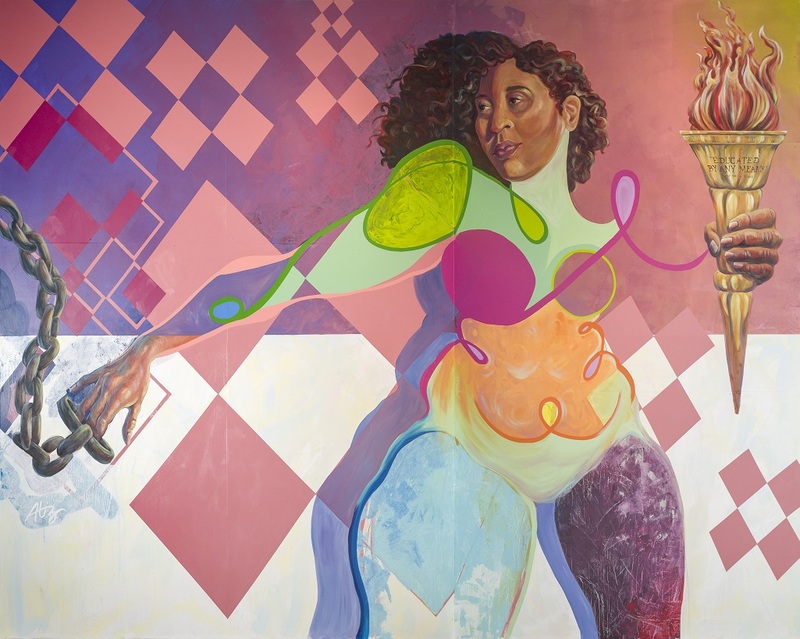 For muralist Amelia Langford, “Fresh Paint” is right up her alley. 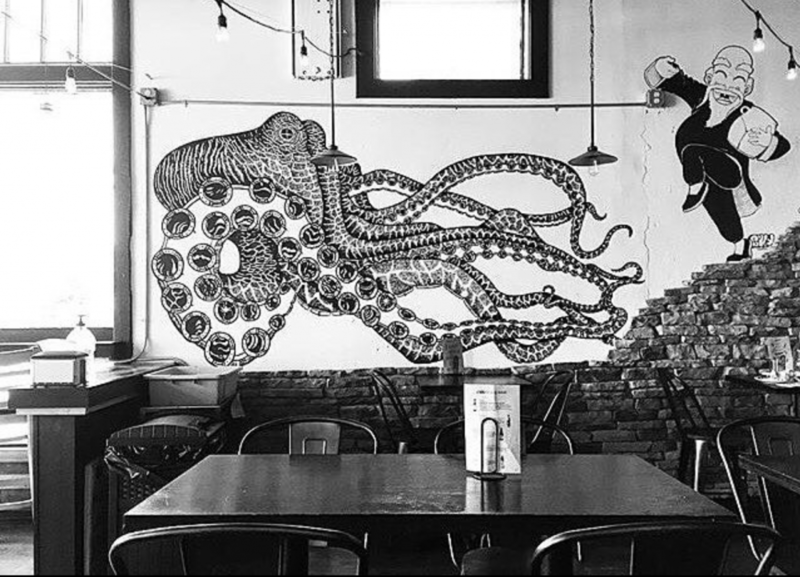 As an avid storyteller through intricate, black-and-white illustrations, graphic designs, and murals, Langford is ready to infuse her unique artistry with the historical account of her artifact. The 28-year-old Richmond native draws much of her inspiration from ecosystems and 18th and 19th-century naturalists. Although she isn’t ready to reveal her historical object of inspiration yet, Langford said she is excited to see street art meld deeper with Richmond art history. “Fresh Paint” will feature 10 artists: Mickael Broth, Nico Cathcart, Wing Chow, Hamilton Glass, Chris Hulburt, Amelia Langford, Austin Miles, Toobz Muir, Noah Scalin, and Ed Trask. With distinct artistic styles, each muralist’s artifact will be displayed next to the finished mural for viewers to see where the inspiration came from. 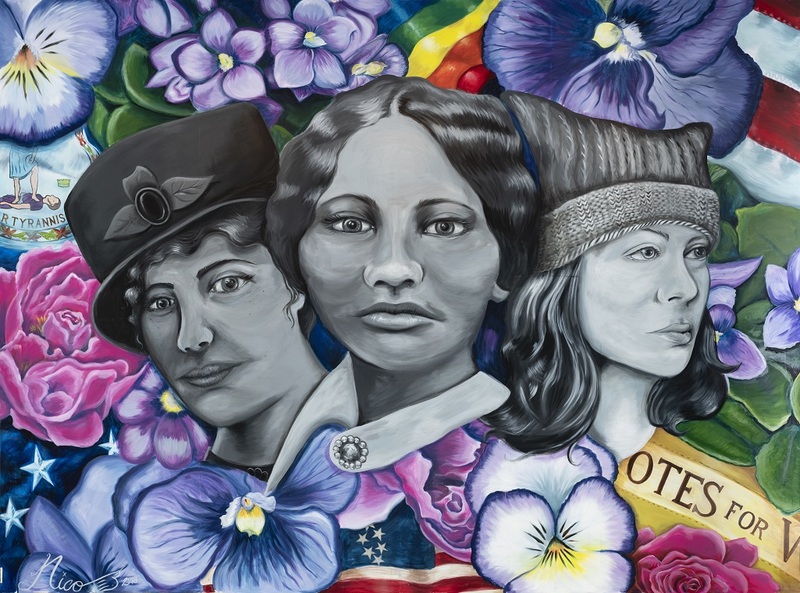 Some of the specific artifacts to be highlighted include a 1921 photograph of social reformer Janie Porter Barrett, an automobile made early in Virginia, a sword from a Civil War battlefield near Petersburg, and a hat worn at the 2017 Women’s March. 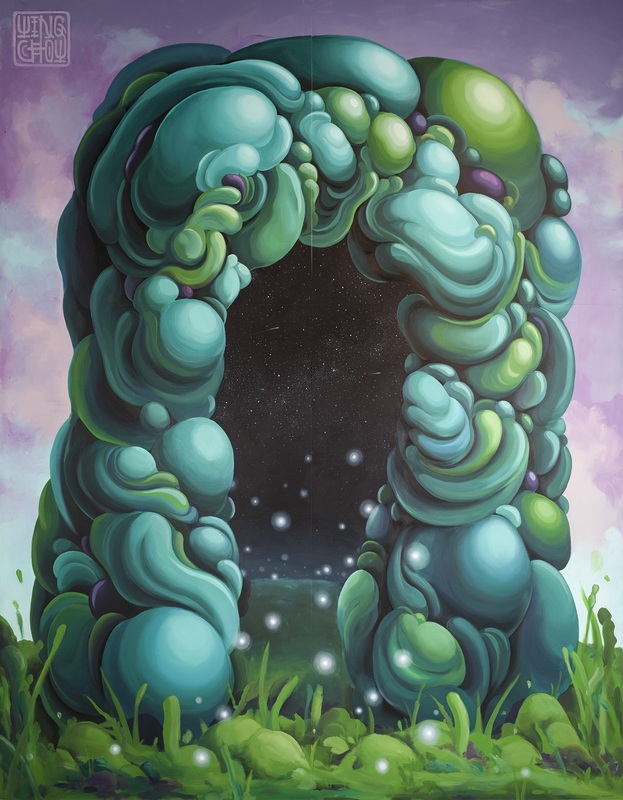 Abstract artist Wing Chow plans to connect her personal style with a historical photograph of the Natural Bridge, a geological formation in Rockbridge County that forms an arch. 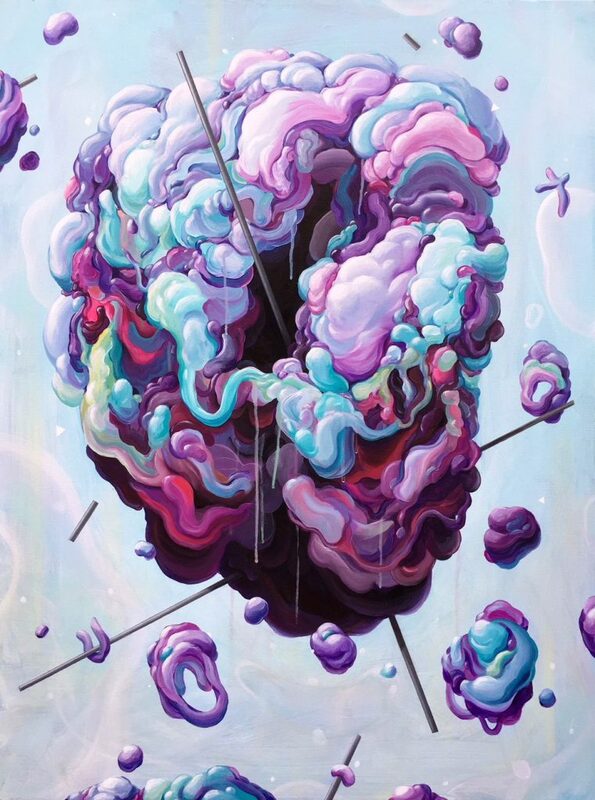 Chow’s art is characterized by amorphous, flowing forms and a cooler-toned palette – blues, greens, purples – and sometimes, the occasional pop of orange or pink. Talkov said the curators were particularly intrigued to see how her artistic style would marry with that of historical Virginia. Alongside “Fresh Paint,” VMHC will launch the exhibit’s companion publication, called “The Story of Virginia: Highlights from the Virginia Museum of History and Culture,” compiling a survey of Virginia history into photographs. The collaborative exhibition offers Richmonders the chance to watch these stories of Virginia history come to life as muralists paint their creations. 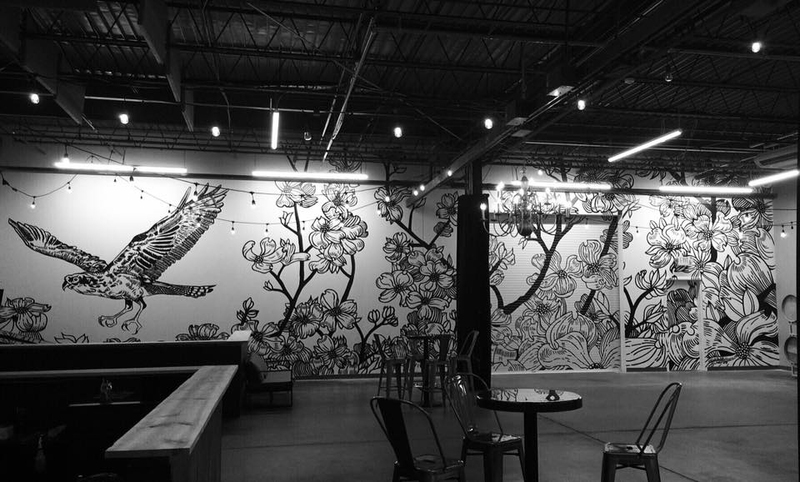 As the artists create, their workspace will be open for people to observe and meet the artists. The featured artists will be working on their pieces between Sept. 10 and Oct. 12. A schedule can be found at virginiahistory.org. “Fresh Paint” will officially open on Oct. 27 and will be on display through April 14, 2019.